Lakewood Personal Injury Lawyer - Over 40 Years of Experience You Can Trust! Our law firm provides personal injury legal services for Lakewood, Los Angeles County, California. If you had a car accident or other personal injury claim, please contact us now for a completely FREE CONSULTATION and click here to see our new personal injury web page. 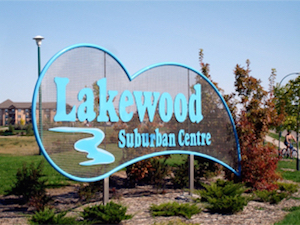 The city of Lakewood has an estimated population of about 80,000 and is bordered by many other cities. These include Long Beach, Bell Flower, Cerritos, Cypress and the Hawaiian Gardens. Lakewood is not only a planned post World War II community, but is also a city referred to as "an instant city" because of its origins going back to the 1960's, when it was officially declared a well developed city. Lakewood also has the privilege to be served by four school districts that include the Long Beach, Paramount, Bell Flower and ABC Unified School Districts. Our law offices serve the entire state of California, all the way from Sacramento in the north down to San Diego in the south, including Lakewood and Calabasas. We offer a wide range of services regarding personal injury law, including but not limited to car, motorcycle, truck, bus, train, bicycle and pedestrian accidents; hit & run and uninsured motorist (UM) accidents; premises liability accidents including slip & fall and trip & fall claims; dog bite and dog attack claims; burn injury accidents; wrongful death claims; and other serious and catastrophic personal injury accidents. We have over 40 years experience successfully resolving thousands of car accident, premise liability and other personal injury claims throughout all of California, recovering millions of dollars for our clients. Our entire firm concentrates in handling personal injury cases and we have won over 95% of our cases. We invite you to read some of our many testimonials. We also offer a completely FREE initial consultation so that we can discuss with you how we can best help you resolve your legal problems and serve your needs without any cost to you. Please complete our easy to use contact form or call our legal team anytime at 818-222-3400 (after hours, please press 1) or toll free from anywhere in California at 1-866-INJURY 2 or 1-866-465-8792 (again, after hours, please press 1) to confer by telephone or to schedule an appointment at your convenience for your FREE consultation or visit our informative website at www.Walchlaw.com. Our law offices are in a convenient location for residents of Lakewood and Southern California, as we are very close to the San Diego (405) and Ventura (101) Freeways and all the major Courts in Southern California, including Los Angeles and Ventura counties. You do not even need to leave your home or go to our offices. We want to make everything as easy and convenient for you as possible. In fact, many of our clients prefer to do everything by telephone (818-222-3400 or toll free 866 Injury 2, after hours please press 1), email (info@WalchLaw.com), fax (818-222-3405), mail or use our simple online contact form. We are set-up to handle injury and accident cases throughout all of California without any personal meetings; however, if you ever would like to visit us and we welcome personal meetings, but for your convenience they usually are not needed, just call for a mutually convenient appointment time. Directions to our offices from Lakewood are very easy -- take one of these two routes: The Santa Ana (I5) Freeway North to the Hollywood/Ventura (101) Freeway North/West to the Mulholland/Valley Circle exit. It is a wide four lane exit, stay in the second lane from the left and make a left turn at Mulholland/Valley Circle. Drive over the freeway bridge and make an immediate right at Calabasas Rd. Continue on Calabasas Road, drive past Wells Fargo Bank and Trader Joe's (which are on your right), and our law office building is on your right. There is convenient FREE parking on the West side of our building in our parking lot at 23801 Calabasas Road, Suite 1019, Calabasas, CA. or 91 West to 710 North to 105 West to San Diego (405) North to the Ventura (101) Freeway North/West to the Mulholland/Valley Circle exit. It is a wide four lane exit, stay in the second lane from the left and make a left turn at Mulholland/Valley Circle. Drive over the freeway bridge and make an immediate right at Calabasas Rd. Continue on Calabasas Road, drive past Wells Fargo Bank and Trader Joe's (which are on your right), and our law office building is on your right. There is convenient FREE parking on the West side of our building in our parking lot at 23801 Calabasas Road, Suite 1019, Calabasas, CA.